Are you powered almost entirely by coffee? The Muki mug from coffee roasters Paulig and advertising firm TBWA/Helsinki knows just how you feel. 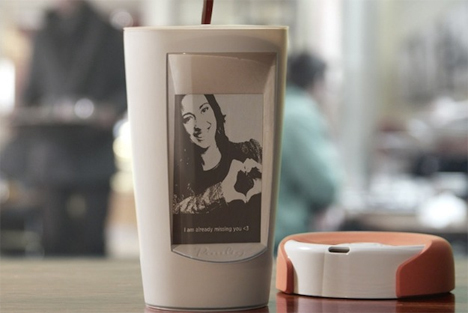 This unique mug displays images on an e-ink display using just the power of your hot beverage. 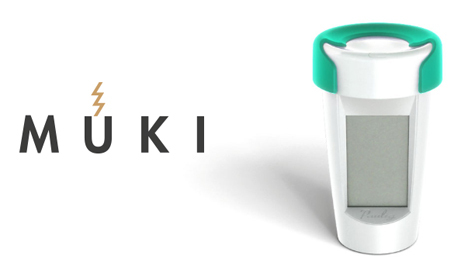 The Muki has an associated smartphone app which lets users upload their pictures which will be displayed every time the mug is filled. Every time you fill the Muki with coffee (or any other hot liquid, though Paulig would obviously prefer you use their coffee) a new image appears on the mug’s display. 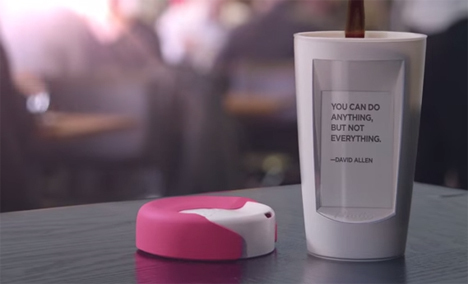 The heat from the coffee creates enough energy to activate the low-power e-ink display. 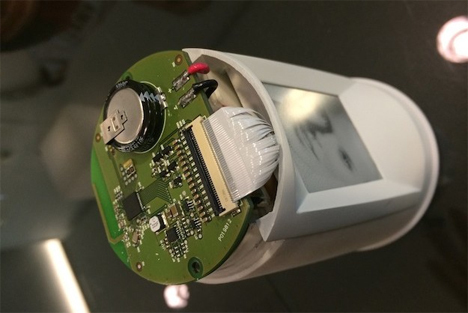 The electronics are in the mug’s base, which makes us think that warming your coffee in the microwave or throwing the mug in the dishwasher probably wouldn’t be advisable. The image on the mug isn’t photo-realistic, but it is attractively stylized. The best thing about it, however, is the fact that the picture is different every time you get a new cup of coffee. As a marketing device it’s completely brilliant because coffee drinkers will likely go for more refills to see which pic pops up next. See more in Home & Personal or under Gadgets. May, 2014.